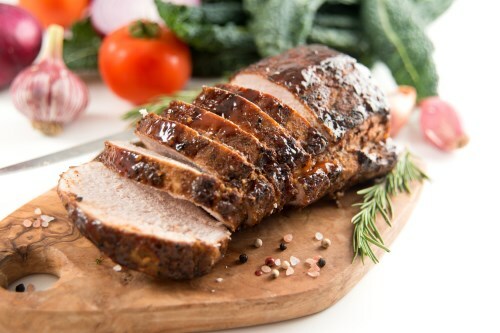 Rub the roast OR tenderloin liberally with extra virgin coconut oil, then spread the garlic over it. Place it in a 10×15 inch roasting pan and sprinkle with the rosemary. Bake at 375 degrees F (190 degrees C) for 2 hours, or until the internal temperature of the pork reaches 145 degrees F (63 degrees C).